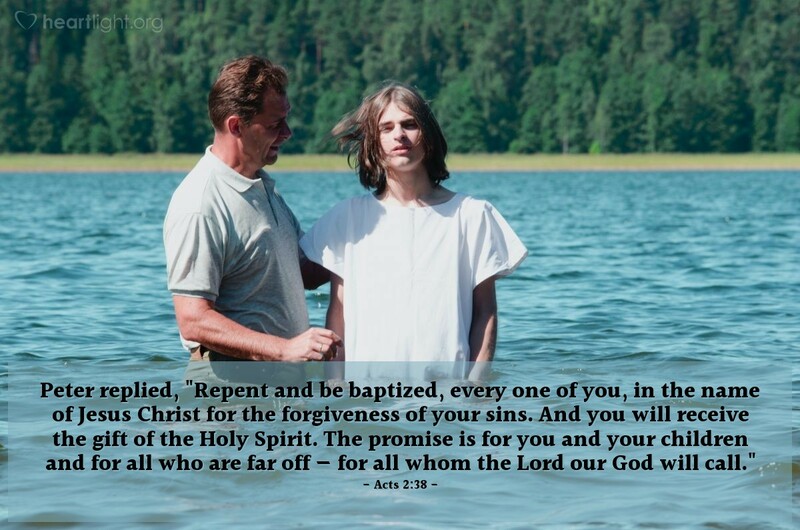 A promise for all those everywhere: those who turn their hearts to God and are baptized fully trusting in Jesus as their Lord and Savior will be filled with God's Spirit and will be forgiven of their sins because of the mighty name and gracious work of Jesus Christ. So like the early disciples, let's share this grace so that the world can know that Jesus is not only Lord, he is also Savior and King for all who hear God's call and trust in him. Praise to you Almighty and gracious Father. You have given me hope when there was none. You have given me strength when my resolve was gone. You have blessed me with grace and poured your love into my heart through your Holy Spirit, your gift from above. For your love, grace, forgiveness, salvation, and Spirit I praise you. In Jesus' name. Amen.